New Release from bestselling author Jedediah McClure provides a fresh, non-divisive perspective on the origins of the world's largest religion. "Myths of Christianity,” by bestselling author Jedediah McClure, has been selected by The Independent Author Network (IAN) as a 2015 Book of the Year Award finalist in the Non-Fiction (Religion/Spiritual/Inspirational) category. Finalists were selected based on a descriptive and inviting title with organized, well-researched material on a subject that is timely and/or timeless, unique, or presented in a unique way that appeals to a wide audience. Both devout and subversive in the best sense, "Myths of Christianity" provides a fresh and non-divisive perspective on the origins of the world's largest religion even as it affirms the transformative power of Christian principles. In clear, straightforward terms the author sifts through centuries of myths and traditions and assembles extensively researched scholarship into an engaging, relatable, uplifting and often entertaining account of Christianity’s origins. "Myths of Christianity" is written for both followers of Christianity and non-followers. For those who follow Christ, McClure's book provides a richer and deeper appreciation of the stories and lessons given in the Bible. For non-followers, this book gives such a clear development of the history behind the stories of the Bible that it allows readers to gain a fulsome understanding of one of the most referenced books in the Western world. Readers' Favorite called McClure's book “An eye opener for Christians without trying to dent their faith." While McClure's work adeptly synthesizes cutting edge biblical scholarship and world history, McClure makes it fun, entertaining, and accessible to a wide audience of readers. McClure "shows the progression of early Christianity in a way that comes across as a conversation that you would have with a good friend." "Myths of Christianity" is available on Amazon.com. 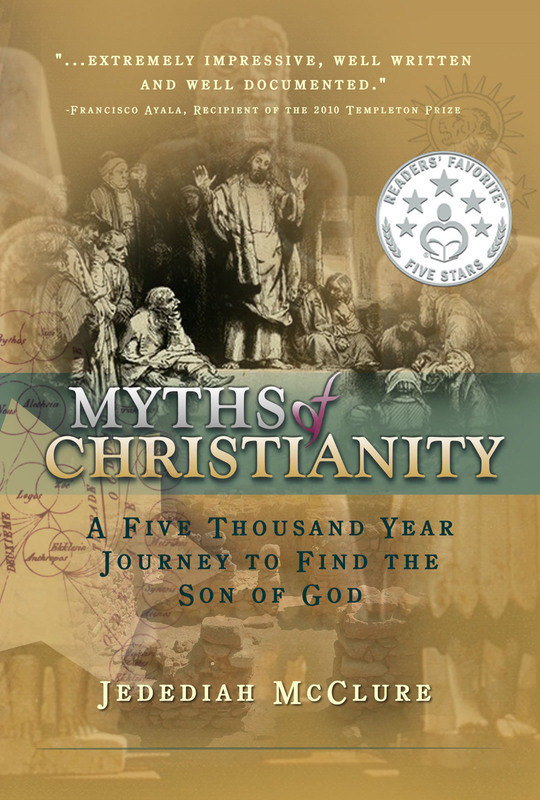 More information about this bestselling book, including reviews and an interview with the author, can be found at http://www.MythsofChristianity.com. Jedediah McClure, a business professional and entrepreneur, holds a Bachelor of Fine Arts degree in Economics and Political Science from DePauw University. McClure lives in the suburbs of Chicago, Illinois, with his wife and two children.